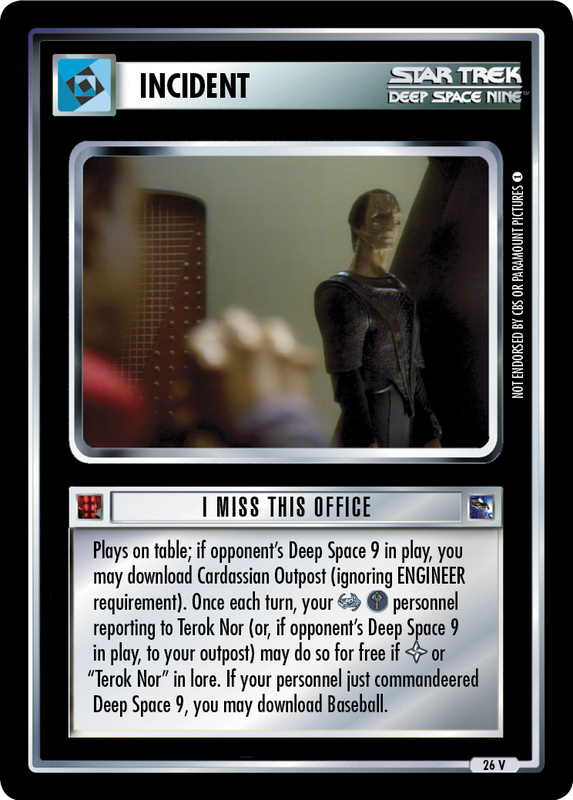 Plays on table; if opponent's Deep Space 9 in play, you may download Cardassian Outpost (ignoring ENGINEER requirement). 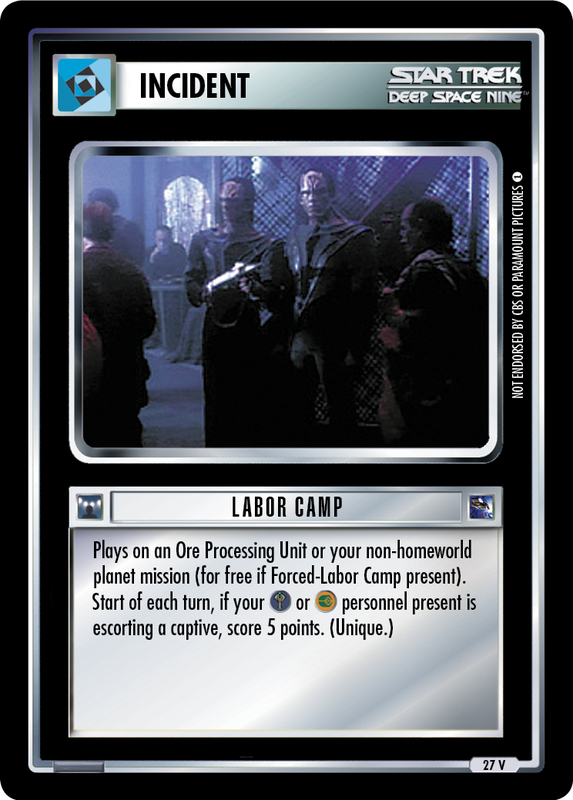 Once each turn, your personnel reporting to Terok Nor (or, if opponent's Deep Space 9 in play, to your outpost) may do so for free if or have "Terok Nor" in lore. 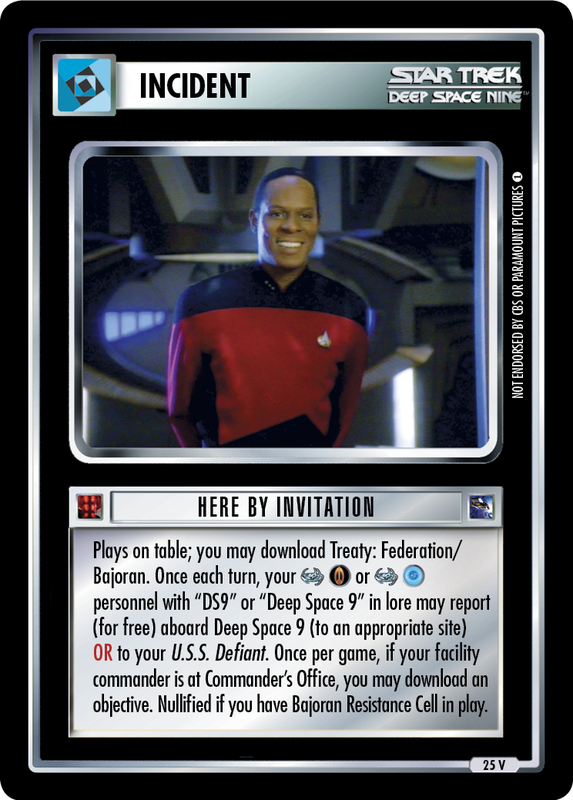 If your personnel just commandeered Deep Space 9, you may download Baseball.